For the third time now, it looks dataminers have uncovered Hi-Rez’s next project for the Nintendo Switch. These latest findings suggest the free-to-play multiplayer fantasy title Realm Royale is Switch-bound. The following line “Merge Nintendo crown” was found within the latest datamine, alongside references to Xbox, PSN, Steam and Discord. 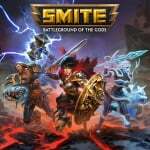 The mere mention of Nintendo is enough evidence the game is likely coming to the Switch after Paladins and SMITE were essentially leaked the same way. 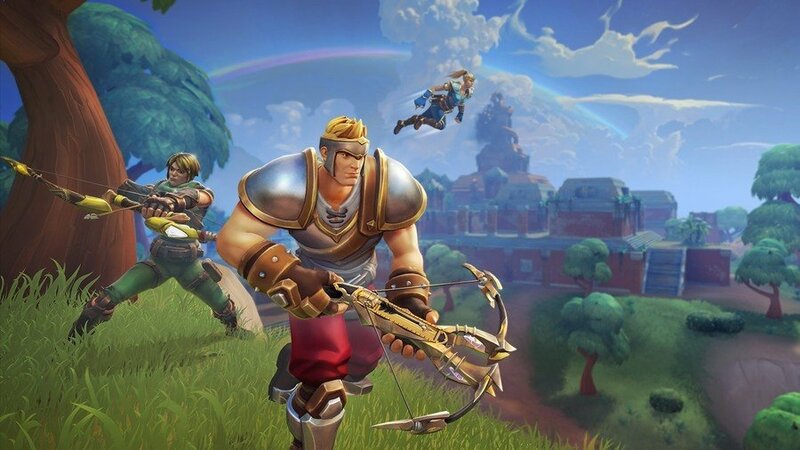 Is Realm Royale a game you would be interested in playing on the Nintendo Switch? Tell us below. This game would entice me more if it stuck with traditional weaponry. Still, online shooters rarely appeal to me (Splatoon being the exception). I hope others enjoy this. Not familiar with this game but I met one of the devs earlier this week. Very friendly and obviously a really smart guy. I'll definitely check it out if this rumor proves to be true. I'm holding out for the Panic Button port of Destiny 1. Battle Royale is the current new thing. Anything to drive up more sales is fine with me. I’m good. Fortnite already fills this role on my Switch with Paladins being my change of pace game. Those 2 plus Splatoon means no more room on my SD card for this. @Anti-Matter Technically it would be a PUBG clone since that was the originator of the Battle Royale genre. This looks incredibly unoriginal. Hard pass. It's free, so I don't mind. If I download it, it'll always be there in case I get the itch, but it's not hurting anything if I don't get into it. 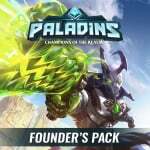 I like Paladins well enough, but battle royale games do nothing for me. Not gonna bite on this. Like much of Hi-rez's work this seems highly derivative. If it's free to play I might give it a shot, but I'm not sure if it's anything I'd be willing to commit much time to. Another Spin Off Fortnite. Of course I like it to do so. I've played Fortnite, PUBG & Blackout and tbh I think this battle royale is up there... It's currently early beta so a few bugs and things that need fixing but it just has that competative aspect that makes you want to try again. Fortnite is just let down by the building mechanic imo and the other battle royals just don't do it for me with the better graphics and more "realistic" vybes. Realm Royale have friendly eye catching cartoony graphics and the gameplay is more gunfights and skill ability use to outplay opponents. The only issue is sometimes a few NPC bots are released into matches to bumb up queue times. Just needs more players to be honest. I'll give it a go since it's free but I thought Paladins was terrible. I don't mind a bit of Fortnite every now and then and if not for the building mechanics I'd probably play it more than I do. @Tasuki If we're being pedantic, we could call it an H1Z1 clone. Since it did it before PUBG existed. There were also mods of other games, like Arma, before that. Another free game is always welcome. Nothing lost if it turns out pants. What’s not to like? Fortnite turned out ok, cost me nothing and I’ve put 45 hours into it. I thought this was known by this point. It’s even mentioned in Game Informer. Is this just Battlesouls with slightly higer production value and slightly less personality? I got this on PS4 and was VERY pleasantly surprised. I like it much better than PUBG, Paladin's, or Fortnite. @Prof_Yoshtonics Vaguely, but from what I remember, it was an mmofps. @Regpuppy Yeah there was a 100 vs 100 Warzone Mode. It kind of reminded me of a precursor to the "Royale" games. On one of the Warhammer games on PC you could also do a pretty big war. I can't remember the numbers though. @Prof_Yoshtonics eh, that's just team death match, and still lacks most of the elements of a royale game. Scale alone doesn't make something a battle royale.